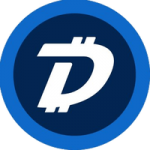 In order to buy DigiByte (DGB), we first need to acquire Bitcoin (BTC), and will then exchange our BTC for DGB. DigiByte is currently available on Cryptopia exchange. If you already have Bitcoin, skip step 1. At the end of the guide, we provide advice on safely storing your new DigiByte. When your order is filled, your DigiByte will appear in your wallet, visible under Account – from here you can withdraw your Digibyte to a different, more secure wallet. The most reputable and appropriate hardware wallet for most of our visitors is the Ledger Nano S, which allows you to securely store a number of cryptocurrencies, including DigiByte. You can see a full list of supported cryptocurrencies here. 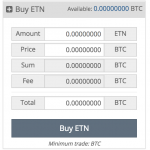 If you’re not ready to purchase a hardware wallet, you can opt for the less-secure option of using a software wallet – either desktop or mobile. We recommend the official DigiByte wallets.